Trainer Henry Dwyer will weigh up whether to keep Tropezina in Melbourne or send her to Sydney. 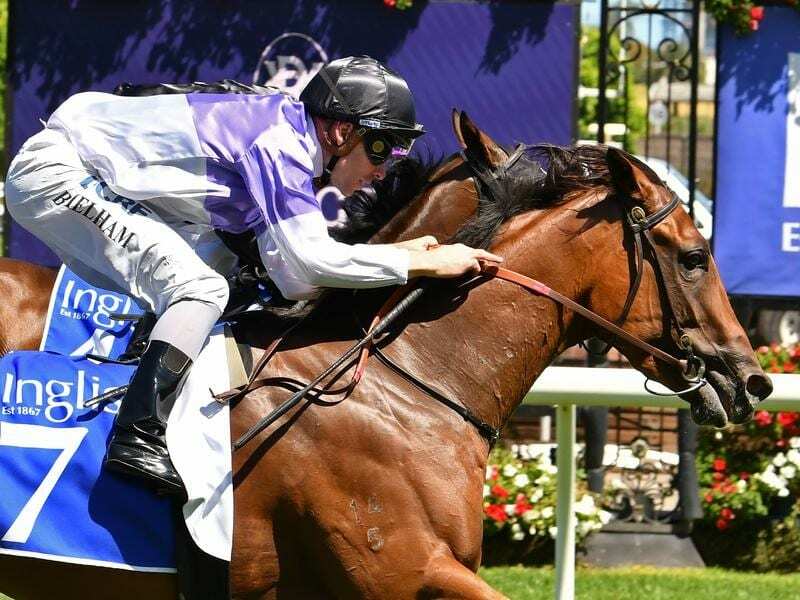 Tropezina is an acceptor for Saturday’s $1 million Inglis Sprint (1100m) for three-year-olds at Warwick Farm and has drawn barrier seven in a capacity field. She also holds a nomination for Saturday’s Kevin Hayes (1200m) for three-year-old fillies at Caulfield with acceptances to be taken on Wednesday. “There’s plenty to weigh up,” Dwyer said. “We didn’t think at the start of the preparation we would get a really long preparation out of her,” Dwyer said. “She got fit pretty quickly but she has held her condition better than I thought she would. “Still, after her last run (Jan 19) we thought it prudent to send her down to the farm (St Leonards) and she just had 10 days down there in the paddock and going to the beach. “She’s been back at Caulfield for five or six days. She had a nice easy gallop the reverse way on Saturday morning and then she worked the reverse way on the inside grass this morning and worked very well.